About a month back, I finally picked up this cigar from Cigar Train on one of my weekly visits. 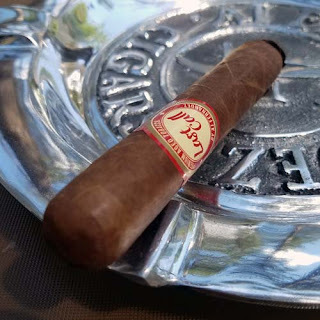 The Rival Twin Chapter 4 by La Gloria Cubana Cigars is the final cigar in this four part special series--or is it? The other day I asked Michael Giannini, Director of La Gloria Cubana Cigars that very question. His reply: "Is Rival Twin Series Chapter 4 the final chapter……all I can say is to be continued?" Well let's get on with the review. The rich, oily, Colorado colored Honduran wrapper is seamless and practically vein free. From the cold foot, there are aromas of rich fermented tobacco and over ripe tree fruit to the nose. After clipping the triple cap, the free cold draw has nuances of sweet oak. Once the foot is toasted and burning the cigar produces a nice volume of smooth, medium bodied smoke with flavors of fruit and chai tea. The burn line on this stick was razor sharp. As the burn moved up the body, a deep oily gloss developed on the wrapper. There were other flavors of brown sugar, toast, caramel, oak, cocoa and a hint of anise. After one hour and twenty-five minutes this mammoth 8 x 52 double corona finished with notes of rich caramel and white pepper. 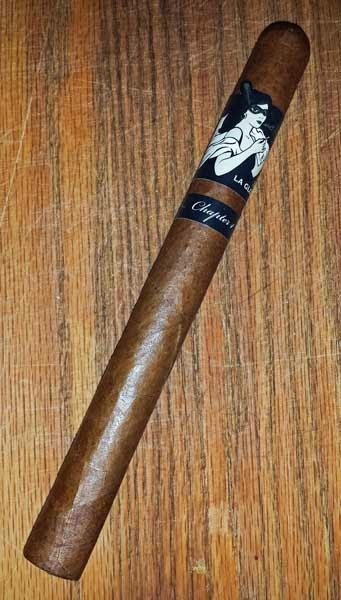 For now at least, this Rival Twin Chapter 4 is the final chapter and it was one nice cigar. It had great flavors, a nice burn line and a fantastic smoking time. If you haven't tried any of the Rival Twin series, you really should!